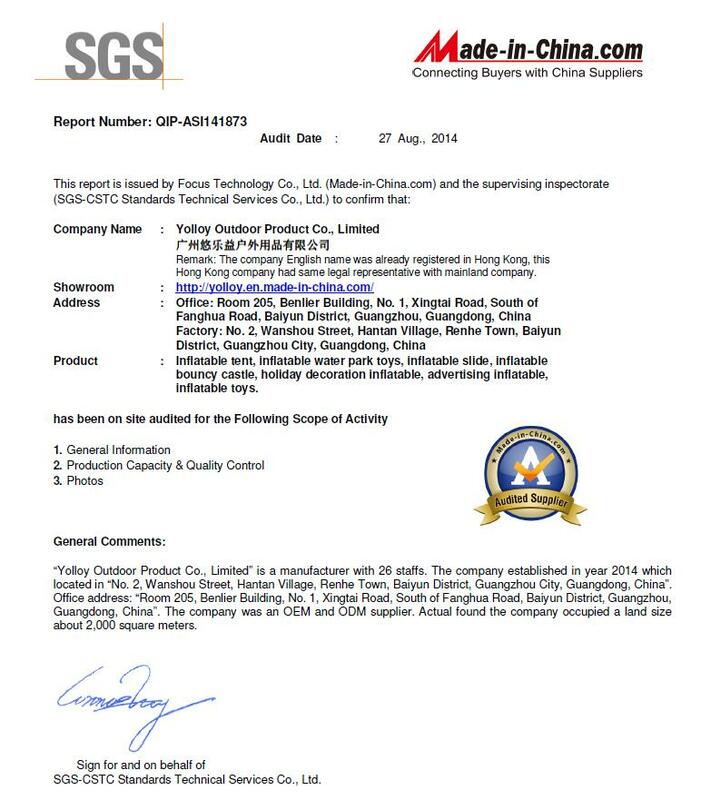 The article you are reading is going to aid you in gathering information about the design and performance of inflatable boats; on how to use them, install them, what you have to avoid and more. For experienced rubber boat owners, it’s a good opportunity to refresh their knowledge, while new users can learn the basics. If you like pumped-up water vehicles, this article is just exactly for you. Those who haven’t used such water vessels before may also find this useful. So, to cut it short: everyone can learn from this or gather some interesting information. These boats are lightweight water vehicles, build from flexible tubes – their bow and sides have tubes which contain compressed gas. Depending on the size, the smaller inflatable boats’ hull and floor are also flexible, but for the longer ones (over 9.8ft or 3 metres) have a floor made from 3-5 aluminium panels or firm plywood placed between two tubes, but they are not tightly joined. Sometimes the crossbeam is stiff, so on outboard motor could be mounted on the boat. 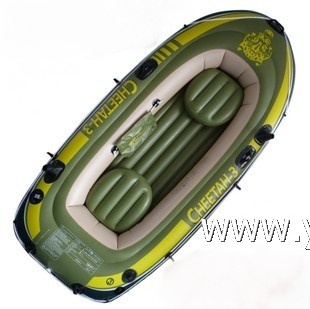 There is a wide range of different air boats and other inflatable water vessels for fun. However, the most popular and the best selling inflatable water products of that ilk are inflatable fly fishing boats, banana boats for fun, big inflatable tubes with handrails, inflatable teeter totter games, as well as the professional air boats. As you can see, these water products may be used for either entertainment or sailing. There are inflatable boats which can be taken apart and packed, thus making it easier to store and to take them to the water when they are needed. When such boats are inflated, a foldable and detachable thwart keeps them firm sideways. This is a feature which makes them to be excellent choices to serve as life rafts for ships, planes, and also for leisure and travel purposes. You may meet with some synonyms of inflatable boats like: “rubber dinghy”, “rubber duck”, “inflatable”, or “inflatable rescue boat”. Before doing anything it’s important to learn a few things which can help you avoid problems, making it possible to use such boats safely. First and foremost, these boats are not meant to be used by small kids and minors under sixteen – adult supervisor is always recommended. Naturally, the toy boats actually meant for kids are exceptions. It is very important that you have a life preserver, a Personal Flotation Device on you, particularly when you are riding “wild” rivers with many rapids. Never overload the boat. The inflatable boats have a manual which tells how many person are allowed in them and how much weight they can carry. Never haul your vessel from other vehicle or boat. To actually inflate the boat, you have two choices: use an electric pump or a foot (or hand) pump. Never try to pump up your boat using your mouth and lung-capacity. When using an electric pump, follow this procedure: remove the hose’s adapter from the inflation valve, then connect it to the pump’s deflation end. After they are attached, follow and repeat the stages for the boat’s inflation process as they were explained. 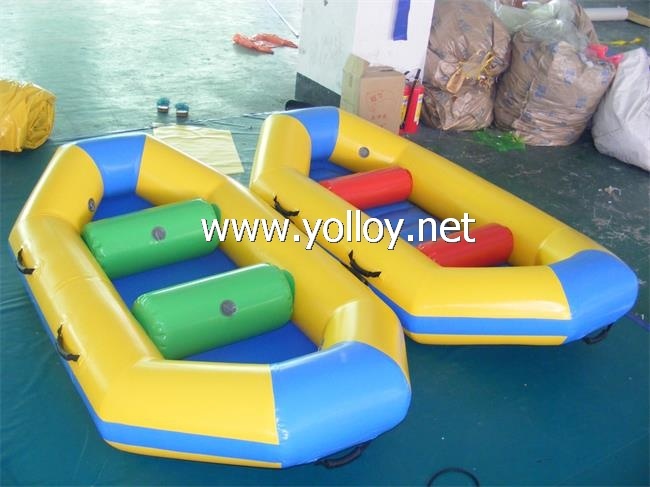 For more info, click: http://www.yolloy.net/Inflatable-Water-Park-Toys/page-3.html.